This six minute short is one of the most emotional and beautiful pieces of work I have seen. With an amazing soundtrack, touching story and breath-taking animation, this short portrays a heartwarming yet simple tale that shows the impact of both love and solitude in only a matter of minutes. Keeping the narratives to a minimal, it relies on its beautiful visuals to portray its simple yet tear-jerking story and does so perfectly. The animation is some of the best I’ve ever seen, with a gorgeous combination of colors and contrasts, beautiful transitions and vivid imagery that makes it hard to look away from. It’s just so easy to watch and fun to look at that you want it to never end. The story is clear and simple, yet evokes a feeling of sorrow mixed with bliss; it just leaves you wanting more. By the end of the video, it makes you really contemplate the effects that isolation has on a person and the human nature’s true desire for company even when it may seem irrelevant. And to wrap it all up, the gorgeous graphics are accompanied by a fantastic electronic mix that fits the theme perfectly and makes it all the more enjoyable. This bittersweet tale elaborates on important themes and touches the audience in such a heartfelt way that it's hard to overlook the emotional impact of this short. Overall, the quality of this animation is truly one of a kind and demands acknowledgment for its brilliant execution. I'm legitimately hopeful that I'll find another experience on the level of "Shelter" in my lifetime. From the first time I heard this song, it resonated with me. 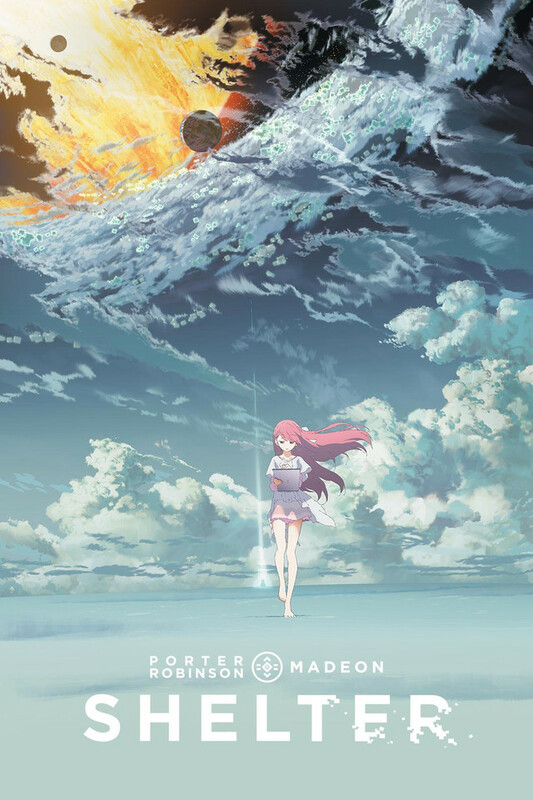 I first heard Shelter in some random YouTube video and was like, "WTF, why am I on the verge of tears just from listening to this song?" And that was just from hearing the music portion of the song. A few weeks later I found that the song was part of 6 minute music video, so I watched that. I felt like a 5 year old watching a favorite video on repeat 100x. I've since played the song for a few people I know, and they said it was catchy, but nothing out of the ordinary. So, really I still have no idea why this song affects me so much, but it does. I'm legitimately hopeful that I'll find another experience on the level of "Shelter" in my lifetime. 6 minutes. No reason NOT to watch it. Bumping up the star average with my word count. Bumping up the star average with my word count. Bumping up the star average with my word count. Bumping up the star average with my word count. Bumping up the star average with my word count. Bumping up the star average with my word count. Music (10). Animation (10). Story (10). Time to Watch (a lifetime compressed into 6 minutes). When I first saw that it was a single episode, and only six minutes, I thought: this can’t be that good. Now I think it is redefining what “10 out of 10” means for me. The song is gorgeous, as are the vivid colors, sweeping scenery, perfect animation, and mysterious, heart wrenching story. To those who complain they “don’t get it”, I understand. The first time I had a slight inkling. The second time I had a good idea (after pausing to carefully examine some of the quick cut flashbacks). Then I read the plot summary on Wikipedia to confirm. It is so poignant and bittersweet that it makes you feel elated and crushed at the same time. And all in one six-minute song. its pretty much SAO II medicuboid arc but with a story. it is pretty good, and I liked the Majora's Mask reference. overall its a DeDeDelightful short! Take 3 eggs, crack them over a glass, take a fork, stir it around in the glass, then pour the egg batch into a pan. simmer over medium-low heat for 5 minutes or until golden brown.
. The storyline is PERFECT and like everything is PERFECT . I gotta give the creators some props. Good job! I saw all the good reviews and had high hopes it might be decent. It doesn't even make sense and most of it is this awful music. There aren't any other characters beside her and she literally has less than 10 lines it feels like. There are a bunch of story telling without the use of words and even then you don't really understand what is going on. I am glad this was only 6 minutes. Art with a Beautiful Story. Pure and Simple. This little animation is just super cool - I can't say much without giving anything away, but its got gorgeous animation, fitting music, and a short story that hits with the punch of a full anime. It leaves the viewer wanting more, but is full enough to be self-sufficient as well. If you haven't seen it yet, then you are in for a big treat.